Japan is a mountainous country with numerous number of volcanoes. 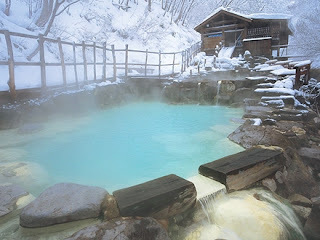 Hot springs are found anywhere near volcanoes and Japanese call these natural hot springs "Onsen". 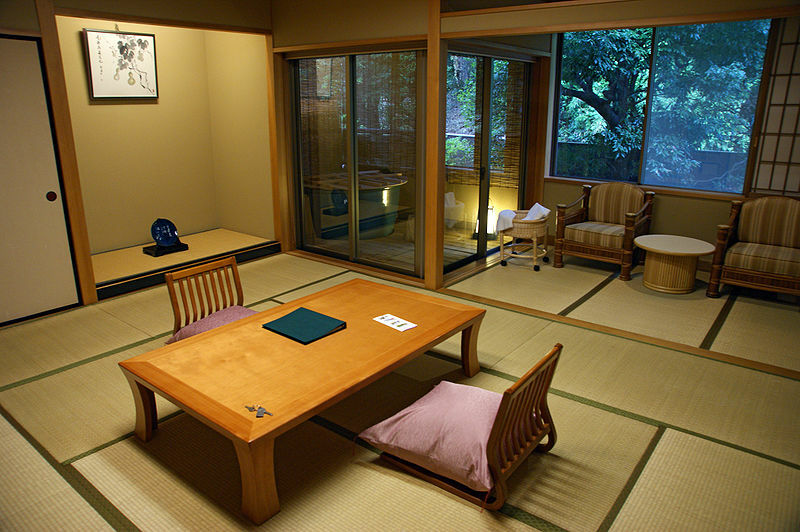 Onsen are highly popular across Japan. It is said there are more than 3000 onsen across Japan. Every region of the country has its share of hot springs and resort towns(Onsengai), which come with them. 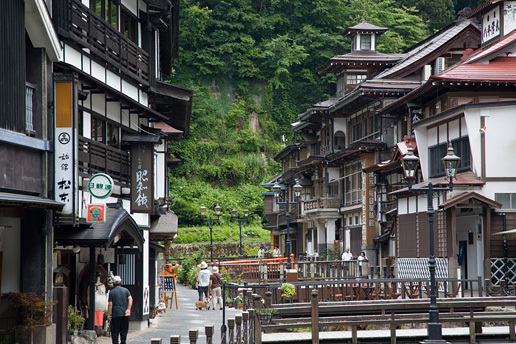 Here's a guide to some of best Onsen in Japan. There are lost to choose from, but Ginzan Onsen, Yamagata, is one of the most nostalgic onsen area in Japan, that opened back in Taisho Era. 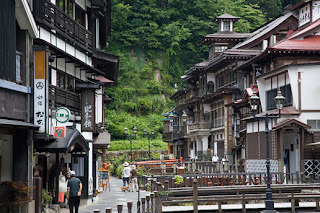 (about 100 years ago) Graceful three- and four-story wooden inns stand in rows on both sides of the Ginzan-gawa River, with its steaming crystal clear waters, giving the area an air of a hermitage village. This hot spring town makes you feel as though you have strayed off into a movie scene from a Japanese period adventure film. 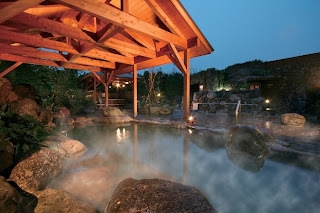 There are many english Onsen guide on the internet. If you ever travel to Japan, I strongly recommend you to take a further step from cities to have this relaxing experience.